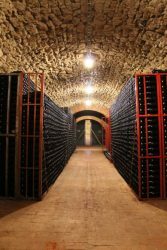 A mention of the word “Champagne” often conjures up the image of the grand Champagne Houses of Reims, stone palaces looming behind wrought iron gates, hundreds of hectares planted with vines that produce millions of bottles of lavishly labelled bubbly. And there is certainly nothing wrong with that, as Champagne, by definition, is a product of prestige. But for connoisseurs seeking something smaller, perhaps even more personal and artisanal, the single-estate producers of the Cote de Blancs are more the way to go. Based in the Grand Cru Cramant and extending over just 8.3 hectares of Pinot Meunier, Pinot Noir and Chardonnay vines, Lancelot Pienne produces some 80,000 bottles each year of fine and elegant Champagne. Whether it’s a single-varietal Chardonnay from the parcels of Cramant or a meticulous blend of all three varietals, the cuvees of Lancelot Pienne offer a unique expression of Chardonnay not to be found elsewhere. The legacy of Lancelot Pienne really began with Jean-Baptiste Lancelot, who worked as a master vigneron for the house of Mumm, based in Cramant, in the 20th century. He passed his passion for wine-growing down to his son Jean, teaching him everything he knew about viticulture. Having practically grown up in the vineyard, young Jean began working for several champagne houses, eventually graduating to produce his own cuvees, which he made available commercially following World War II. Jean’s son, Albert carried on his father’s and grandfather’s legacy as a professionally trained winemaker. In 1967, Albert married Brigitte Pienne, a local lady from a winemaking family in Chouilly, and the two united their vineyards into one estate and naming it Lancelot Pienne. 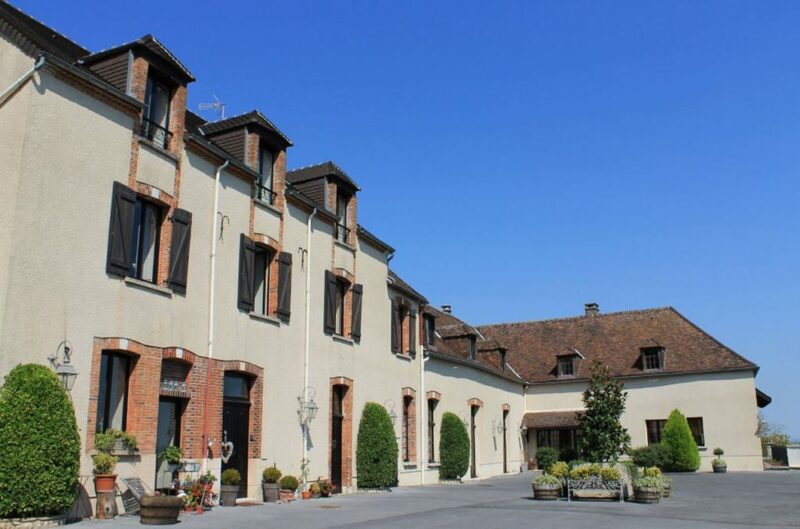 In 2005, the estate was passed down to their son, Gilles Lancelot who currently manages the estate with his wife Celine Perceval. The House today is 100% independent, producing around 80,000 bottles per year, half of which is exported to the USA, Italy and Japan. Lancelot Pienne is a registered RM (recoltant-manipulant), producing wines exclusively from wines grown on its own estate, rather than blending the latter with grapes purchased from other wine-growers. This practice sets the estate apart from many of the more internationally recognised Champagne Houses of Reims. Lancelot Pienne is based in the Grand Cru Cramant and its 8 hectares of vine, which are 40 years old on average, are planted in the following proportions: 3 hectares are planted with Chardonnay in the grand crus Cramant, Avize and Chouilly, 3 hectares with Pinot Meunier and 2 hectares with Pinot Noir (the latter two varietals planted in the Marne villages of Boursault, Moncy and Monthelon). Ranging over a total of 6 villages, the pint-sized property is nevertheless extremely fragmented, offering a vast diversity of soil types and microclimates to experiment with at blending. This explains the wide range of fabulous wines elaborated here, everything from single-variety Blanc de Blancs from Chardonnay to blends of all three of the Champenois varietals. Both viticultural and winemaking practices at Lancelot Pienne follow lutte raisonee (sustainable agriculture), an approach that limits the use of chemicals in the vineyards and winery. The grapes are harvested rather late, pressed very slowly at the winery and fermented into wine in stainless steel and enamelled concrete tanks before being left on fine lees for six to eight months. Malolactic fermentation is carried out all of the estate’s wines, with the aim to keep a certain characteristic freshness locked inside the wines. Cuvees on the premium end of the estate’s spectrum are aged for four years on second lees in the bottle. A low dosage is preferred at Lancelot Pienne, to allow the natural flavours of the fruit to shine through without being overburdened by sweetness. 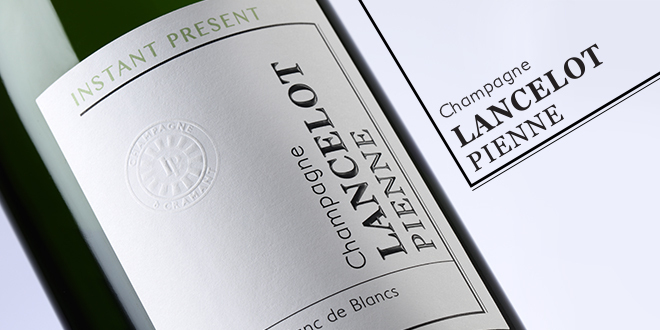 Lancelot Pienne’s Cuvee Marie Lancelot is a brilliant example of a high-quality, signature Champagne. The prestigious origins of this Grand Cru Blanc de Blancs are definitely to be taken into consideration. This 100% Chardonnay comes from a blend of wines from 6 prestigious parcels of old vines located in Cramant, sentinel of the Cote des Blancs: Les Bourons, Les Porgeons, Les Buzons, Les Gouttes d’Or, le Moyen du Couchant and les Fourches. 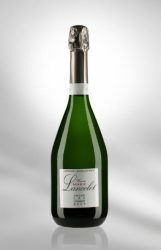 Produced in limited quantities of only 2,000 bottles per year, Lancelot Pienne’s Cuvee Marie Lancelot has spent four years in the cellar after bottling, just waiting to reveal its true spirit. With its crystalline, sparkling dress and fine stream of bubbles, this Champagne seduces the eyes first. The nose reveals its terroir of origin, with all the minerality of Cramant’s chalky soil, supported by aromas of dried fruit and hazelnut. Frank in the mouth, the wine expresses all the purity of a Champagne whose low dosage of 3g / l allows it to express the authenticity of Chardonnay from this exceptional terroir. Long and persistent, the finish ends with a nice minerality, saline and iodine. If this Grand Cru Blanc de Blancs is as self-sufficient as it is complex, it will accompany perfectly the most refined dishes. A pleasure for the eyes as much as for the senses, the Petale de Rose cuvee of Lancelot Pienne is truly a seductive Champagne. Made from a subtle blend of red Champenois wine (8 to 10% pure Pinot Noir from Bouzy) with the Cuvee Tradition of the House, the Cuvee Petale de Rose succeeds in achieving the perfect balance between the elegance of Champagne and the charm of red fruits. At the tasting, the Cuvee Petale de Rose presents a tender salmon pink colour. Notes of light red fruits are expressed in perfect harmony with minerality and acidity typical of the “Lancelot Pienne” style. Along with great freshness, the palate reveals delicate notes of red fruits, wild strawberries, and a touch of menthol. 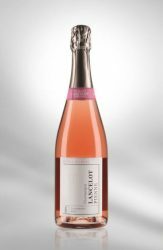 The Cuvee Petale de Rose from Lancelot Pienne is beautiful rose Champagne, a romantic wine to its very core. As a result of an extraordinary growing season, the Accord Majeur 2010 vintage of Lancelot Pienne truly shines. From the prestigious terroirs of the Cote des Blancs and the Marne Valley, this blend unites Pinot Meunier, Chardonnay and Pinot Noir through meticulous precision and know-how, magnifying the qualities of each grape variety. After a four-year rest period in the cellars of the house, this wine can fully reveal its charm. The beautiful golden yellow colour reveals the sparkle and delicacy of the fine string of bubbles, floating to the surface. Pinot Meunier, which dominates the blend in volume, expresses plenty of ripe fruit aromas. The palate of this Champagne reveals a massive scale and is well structured, evolving on a finish that ends with spicy and roasted notes. 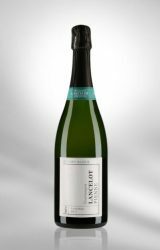 A great Champagne for all types of moments, this wine from Lancelot Pienne will be wonderful when enjoyed either alone or during a meal.